Our Gear Pumps are from Pedro Roquet, Spain. These Pumps are the best in quality and performance. We have varied range of Displacements and different mounting types also are available. We also have double Pumps, wherein the flanges and shafts are interchangeable with the Single Pumps. Our Gear Pumps are precisely manufactured with superior quality material & leading techniques under the supervision of professionals. Being a prominent firm, we are actively committed towards providing our clients with a superior quality range of Hydraulic Gear Pumps. 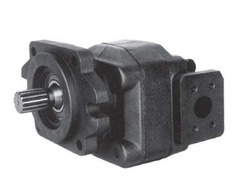 This gear pump is manufactured with advance techniques using high quality material as per the industry norms. The given gear pump is checked on numerous parameters in order to deliver defect free range to customers. Our gear pump is known for their robust construction, less maintenance and excellent performance. The policy made by our firm makes us betrothed in providing well tested Stainless Steel Gear Pump. These gear pumps are manufactured with advanced technology & finest quality of material by skilled workforce. 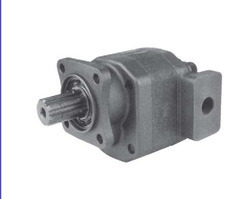 Our offered gear pumps are ideal for meshing of gears to pump fluid through displacement. 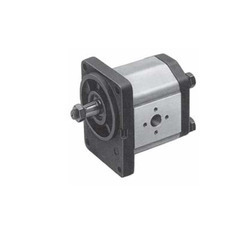 Along with that, we provide these gear pumps at competitive price in a given time frame. We have marked a distinct and dynamic position in this industry by manufacturing & supplying qualitative Cast Iron Gear Pump. 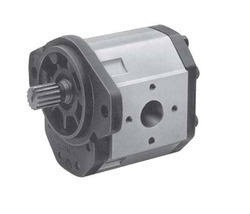 Offered gear pumps are provided in diverse specifications to choose from. 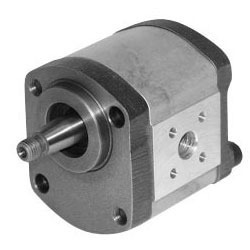 These gear pumps are manufactured with precision utilizing top notch material & latest techniques following the industrial norms. Our offered gear pumps are used to measure tank & pipe fittings for closed loop oil circulation. We are engaged in offering our valued clients a very fine quality and premium range of BackHoe Loader Pump For JCB 3D, 3DX . You can avail these products at leading market prices.We meet the bulk demand of our clients within the committed time frame. Our Pump is a 1:1 equivalent to the 3D BackHoe loader and is even more effecient than the other make Pump fitted in the 3D Model. Pedro Roquet Spain, makes its name for Better Qaulity and performance oriented Products. Our Pedro Roquet Pump is better in Performance and also the wear and tear is less as compared. This Gear Pump (Series PNA) is highly appreciated amongst customers for its rigid construction and hassle free performance. Our product range is designed by keeping industrial norms in mind. Our Pedro Roquet, Spain, Gear Pumps are hydrostatically balanced and have automatic lateral adjustment. We recommend the use of Hydraulic oil for oil dynamic installations with antifoaming additives and for extreme pressures. very low flow Pumps and high effeciency.